The Donate Life Texas Registry is the only, official organ, eye and tissue donor registry for the state of Texas. People of any age, ethnicity, country of origin or health status can register their lifesaving decision. There is no way to know when a person may pass away and what conditions may exist at that time. Don’t exclude yourself! If you want to be a donor, register! Established by the 79th Texas Legislature in 2005, the Glenda Dawson Donate Life Texas Registry allows individuals to record legal consent for organ, eye and tissue recovery after death. Since then, legislation has created partnerships with the Texas Department of Public Safety (TxDPS) and the Texas Department of Motor Vehicles (DMV) that allow individuals to join the donor registry when applying for or renewing their driver’s license, ID or vehicle registration. The Donate Life Texas Donor Registry was named in Rep. Glenda Dawson’s honor. Elected in 2002, Dawson served two terms as the Texas House Representative for the 29th District. A kidney transplant recipient herself, Dawson was a passionate advocate for organ donation. Dawson passed away in September 2006, not long after the state organ, eye and tissue donor registry she championed was established. Today, her legacy lives on through the lives touched every day by registered donors. In late 2016, the Donate Life Texas donor registry celebrated its 9 millionth registration. Reaching 9 million registrations in only 10 years makes Donate Life Texas among the fastest growing donor registries in the country. To date, 1,338 people registered with Donate Life Texas have become organ donors, saving literally thousands of lives. Thousands of others have also been tissue and cornea donors. 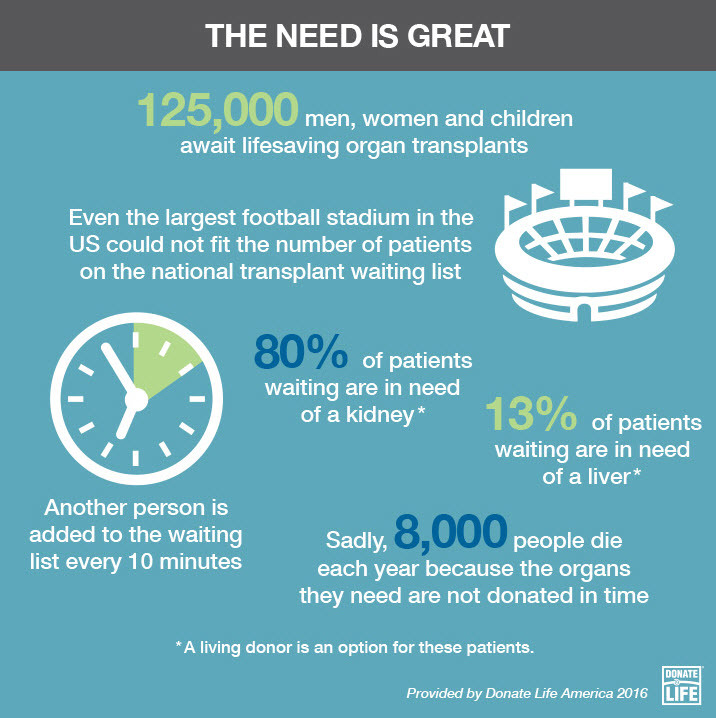 Donate Life Texas Inc., a nonprofit organization, maintains and operates the donor registry and is governed by a Board of Directors comprised of the CEOs of the three federally-designated organ procurement organizations (OPOs) in Texas.